Another of India’s ‘Taj Mahal’ (also built by another royal called Shaha Jahan), the Taj Mahal Palace was built all through 1868 to 1901. 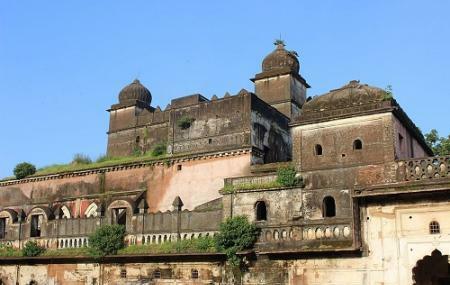 The palace is loved for its British, French, Mughal, Arabic and Indian architecture influences and even though seen in ruins, is slated to form a major attraction. The Mahal has 120 rooms with gorgeous arches, a Sheesh Mahal (room of mirrors) and a fountain that completes the picture. Evening illuminates the Palace and adds to the glorious experience. Do carry your camera to capture the century-old place in your lens. Entry to the place is prohibited since it will be converted to a hotel soon. How popular is Taj Mahal Palace? People normally club together Jama Masjid and Jyoti Cineplex while planning their visit to Taj Mahal Palace.